As part of celebrating the centenary of regaining Poland’s independence, many diverse and unconventional events are being organised to bring unique ideas to life. 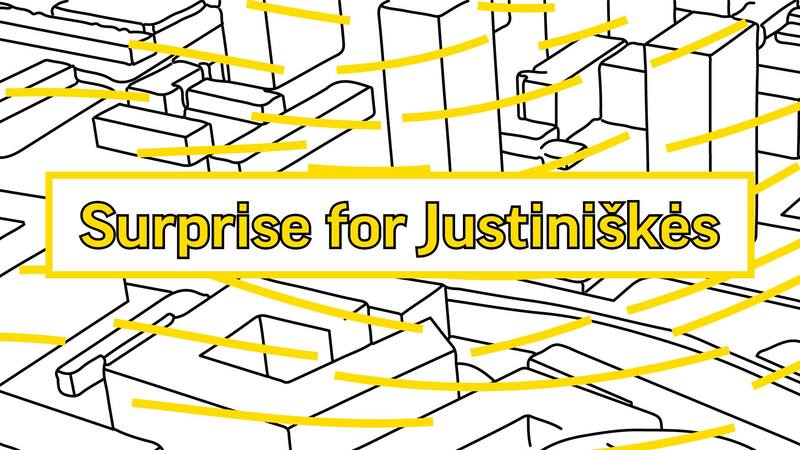 One of those notions is a public space development project in Justiniškės (Justyniszki) – a districts of Vilnius, that it is being prepared by Polish architects. Project’s inauguration ceremony, with the participation of Vilnius vice-mayor Linas Kvedaravičius, the director of the Polish Institute in Vilnius Marcin Łapczyński, the Deputy Director of the Adam Mickiewicz Institute Michał Laszczkowski, and the project creators Magdalena Szwajcowska and Michał Majewski, will take place on Thursday 31st of August at 14:00 hours (2 PM) at the amphitheater in Justiniškės, 73 Taikos street. Magdalena Szwajcowska and Michał Majewski of the “NO Studio” have prepared a one of a kind “metamorphosis” project for two structures at the Vilnius district of Justiniškės. An unkempt concrete amphitheater and a defunct fountain will be renovated to serve the local residents, making it a meeting place for people of all ages. Such space was the most urgent need stated by the locals during discussions with architects in preparations for the project. The successes of the “NO Studio” projects are related to thorough familiarization with the needs of the given area – conducted interviews and observations allowed the architectural bureau to build up a proper image of Justiniškės and sense its atmosphere. As a result a project has emerged, which in a surprising way, can affect the lives of the district residents. The defunct fountain will be transformed into a recreational areas and new seating will be placed on the steps of the amphitheater. This simple idea, with its uncomplicated but yet attractive form, will prove that sometimes even small changes can bring a significant improvement in the use of a given public space. The previously completed projects by Magdalena Szwajcowska and Michał Majewski that were mainly addressing the needs of Wroclaw, a city with which the designers are associated, were mentioned by renowned web-portals devoted to the applied art – DesignBoom in this instance. Thanks to being associated with the Future Architecture Platform, the artists share their experience and innovative working methodology with the rest of the world. The project is carried out by the Adam Mickiewicz Institute, operating under the Culture.pl brand, by Vilnius City Municipality Administration, and with the support of the Polish Institute in Vilnius. The project is part of the hundredth anniversary celebrations of regaining Polish independence within the frameworks of the Multi-annual Program „Niepodległa”. More information about this micro-installation.